Home » Small Business Accounting Tips » Is your company ready for the new rule on leases? 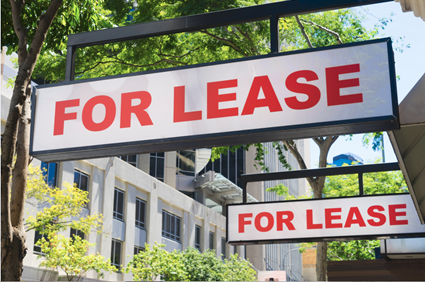 Is your company ready for the new rule on leases? The Financial Accounting Standards Board (FASB) has announced new rules for how companies must account for their corporate leases. Under FASB’s old standard, the rules only required that companies report “finance” or “capital” leases on their balance sheets. The old standard allowed firms to place the “operational” leases in just the company’s disclosures, not on the balance sheet. Also under the old standard, FASB did require that lessees account for all lease payments on their income statements, but the rules did not require companies to reflect their future obligations on their balance sheets. When a company establishes an operational lease, the leasing entity (the lessor) retains ownership of the asset. The lessee rents the asset for a certain length of time. After that time, the lessee losses rights to the asset. Companies typically use operational leases to lease items such as office equipment, real estate, and occasionally vehicles. For example, if you rent office space, when your lease ends, you must negotiate a new lease or vacate the space. When companies use a “financial” lease, they are using the lease to finance the purchase of an asset. At the end of the contract time, the lessor transfers the asset to the lessee. These types of leases operate more like a loan for purchasing the asset. In the wake of the Enron scandal, FASB decided to make this change. Enron used leases to hide debt. The accounting board believed the two different rules for treating a lease made financial reports inconsistent across companies. For example, companies leasing fleets of cars with operational leases would appear financially stronger than firms using capital leases for their fleets. Using financial leases to lease assets (such as vehicles) may still make fiscal sense. These leases enable companies to avoid unpredictable vehicle maintenance, upfront cash for purchases and results in a predictable cash flow. The new rules will increase the administrative chores for some small businesses. Companies will need to review carefully the terms of their asset leases. This is especially true for firms that lack internal accounting staff. Under FASB’s new leasing standard, companies must move leases to the face of the balance sheet. Companies can no longer merely disclose these types of leases in their balance sheets’ financial footnotes. With this updated requirement, a company must add its right-to-use assets to the asset section of the balance sheet. Companies must also place its lease obligations in the liability section of the balance sheet. Further, the company must discount the lease obligation to its present value by using either the implicit rate in the lease or the lessee’s incremental borrowing rate. FASB does not believe these new rules will change how companies report their debt or debt ratios to banks. The regulatory body has stated that these leases are not debt-like-liabilities. If companies do have loans that require companies maintain a specific debt-to-equity ratio, they should speak with their loan officers and accountants. FASB is staggering the implementation of these regulations. Public companies must meet these new reporting requirements starting with fiscal years beginning after Dec. 15, 2018. Nonpublic companies must make the report changes for fiscal years beginning after Dec. 15, 2019. If you need any help in determining how this new regulation affects your company, please contact us.